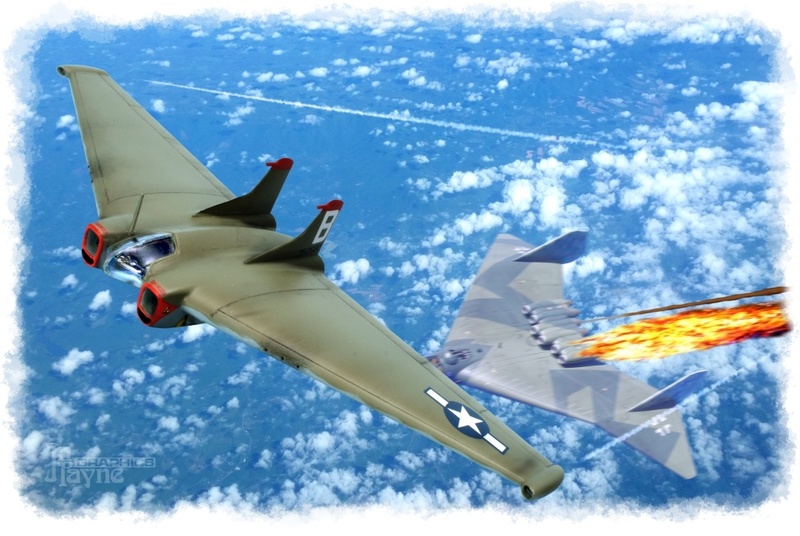 Revell's 1/72 scale Ar 555 kit,and RS Models' 1/72 XP-79 kit Superimposed on a photo I took from a plane. 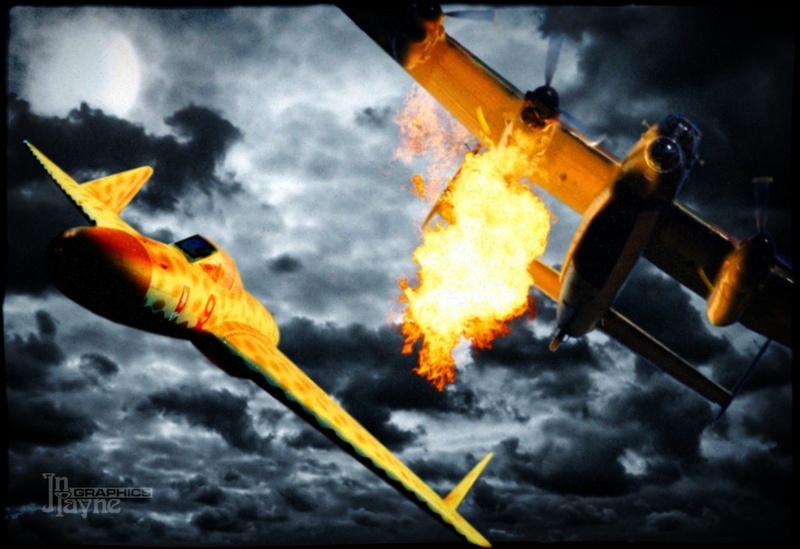 Planet Models' 1/72 scale resin kit superimposed on a stock photo sky background, with a modern photo of a real Lancaster, and stock photo flame elements. 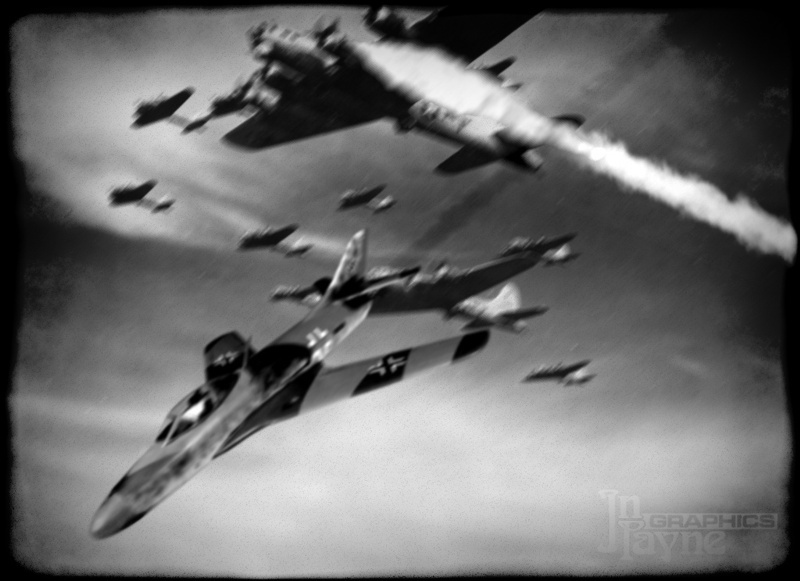 Planet Models' 1/72 scale resin kit superimposed on a genuine WWII photo. 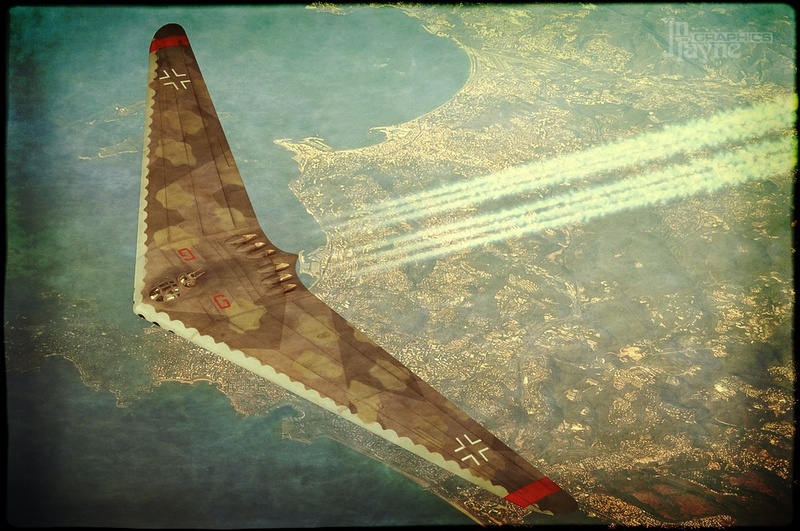 Special Hobby's 1/72 scale bv.212 kit and Anigrand's 1/72 XP-69 resin kit superimposed on a genuine period photo of Germany from the air. 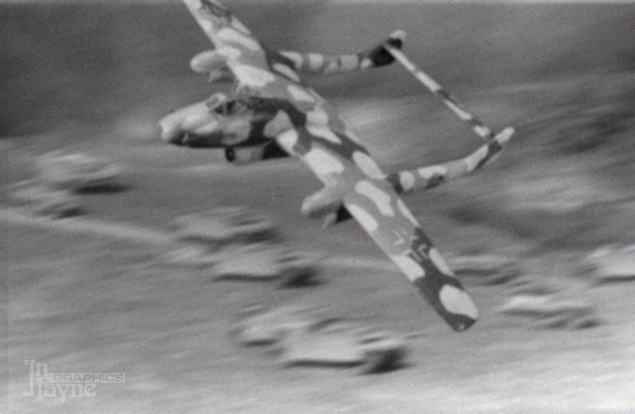 Tamiya's 1/48 scale kit superimposed on a genuine WWII photo. 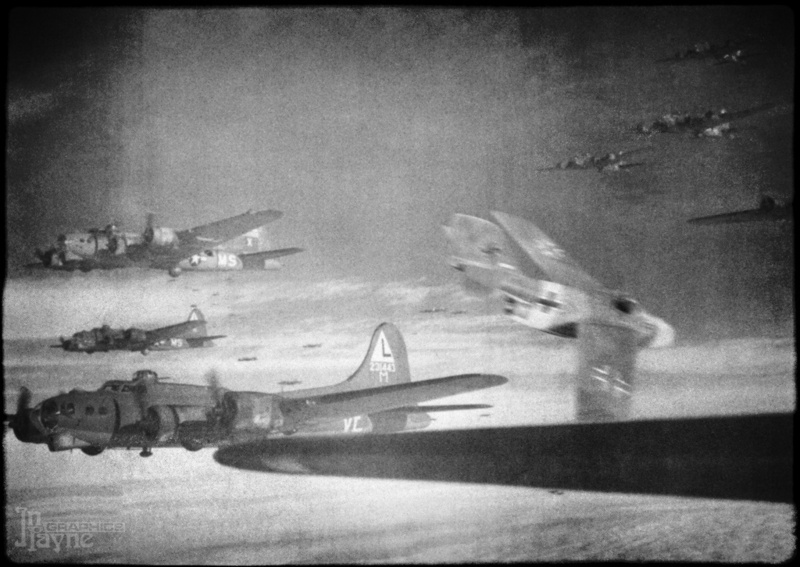 DML's 1/72 scale kit superimposed on a genuine WWII photo. 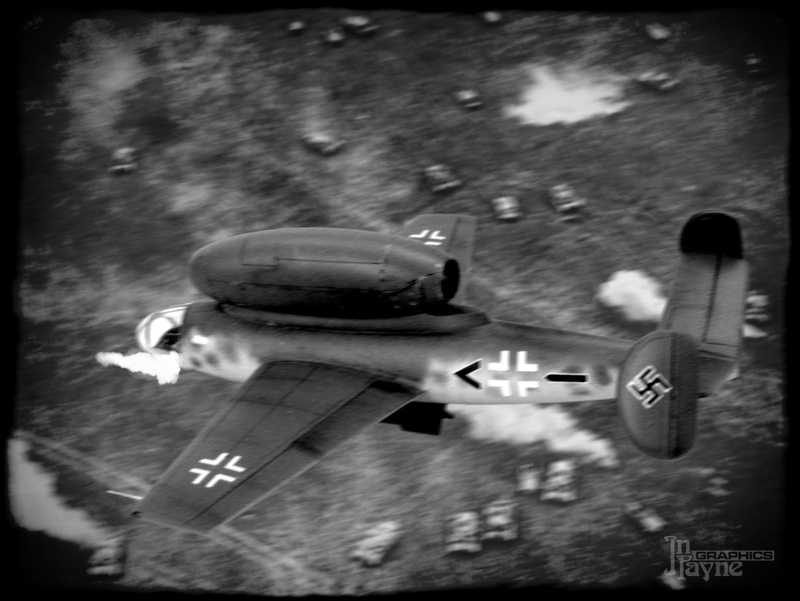 Anagrand's 1/144 scale resin kit superimposed on a genuine WWII photo. 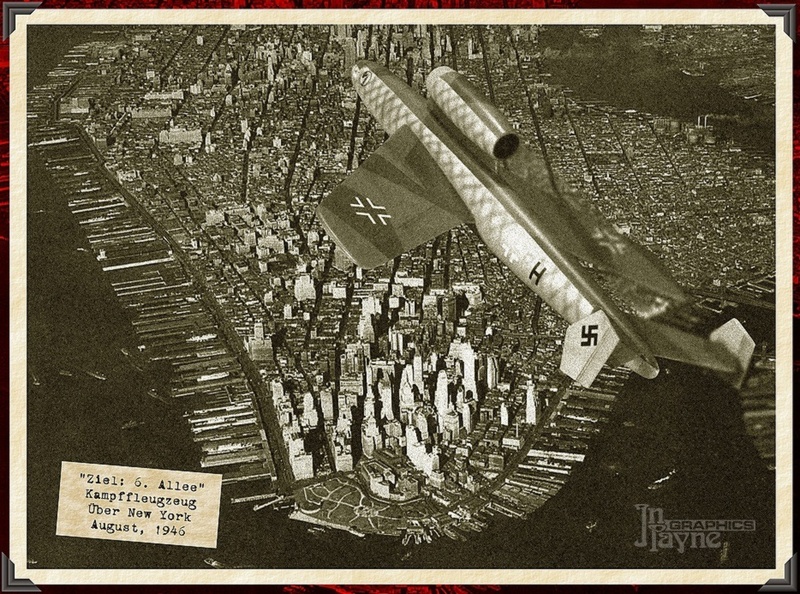 Anagrand's 1/144 scale resin kit superimposed on a genuine 1930s photo of NYC. 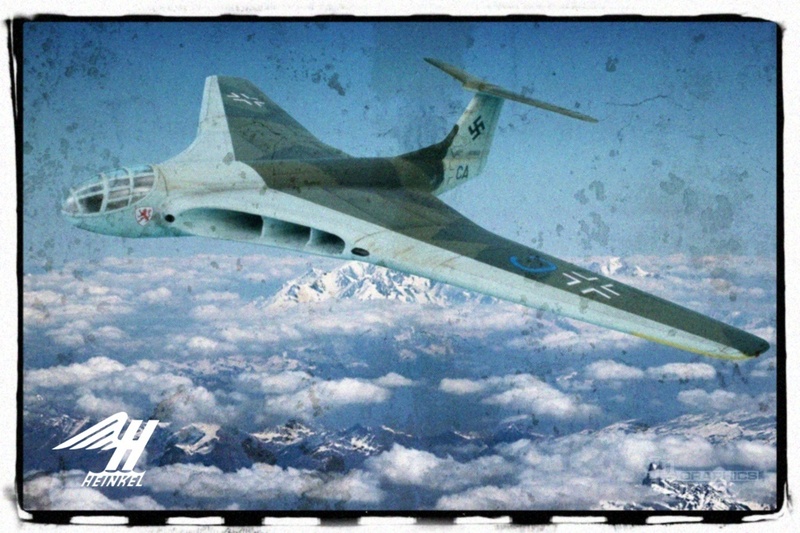 Pioneer Models' 1/72 kit over a genuine WWII photo. Dragon Models' 1/48 scale kit photographed outdoors on a diorama base..
Anagrand's 1/144 scale resin kit over a genuine WWII photo. 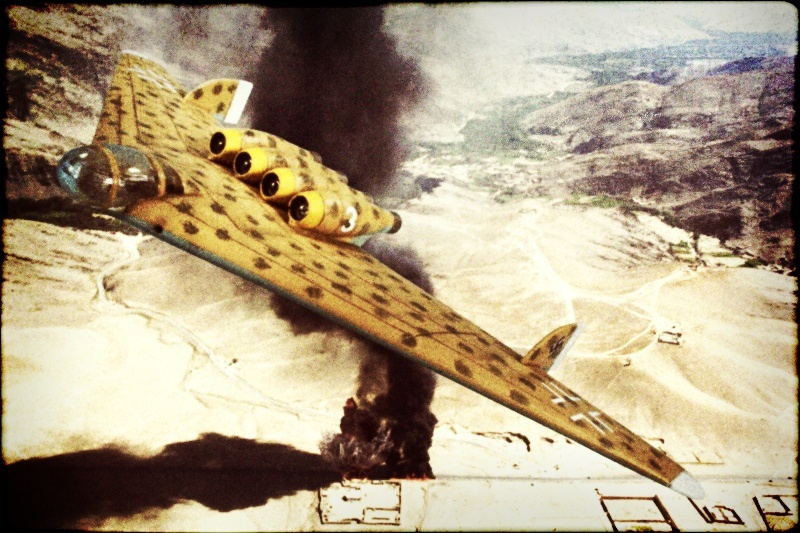 Anagrand's 1/144 scale resin kit over a stock photo. 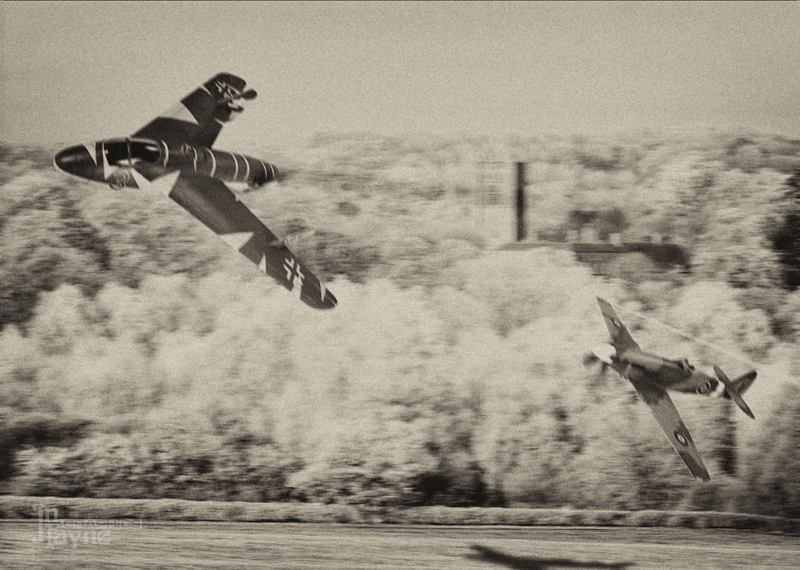 In the gathering dark over Germany, a Mosquito nails a Heinkel P.1079A jet night fighter. Planet Models' 1/72 scale resin kit over a photo of a real Mossy. 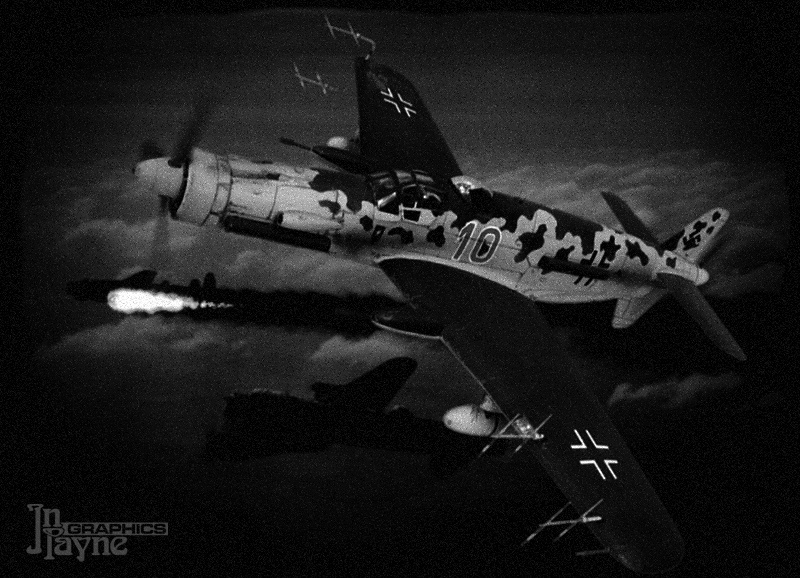 RS Models' 1/72 scale kit over a genuine WWII photo. 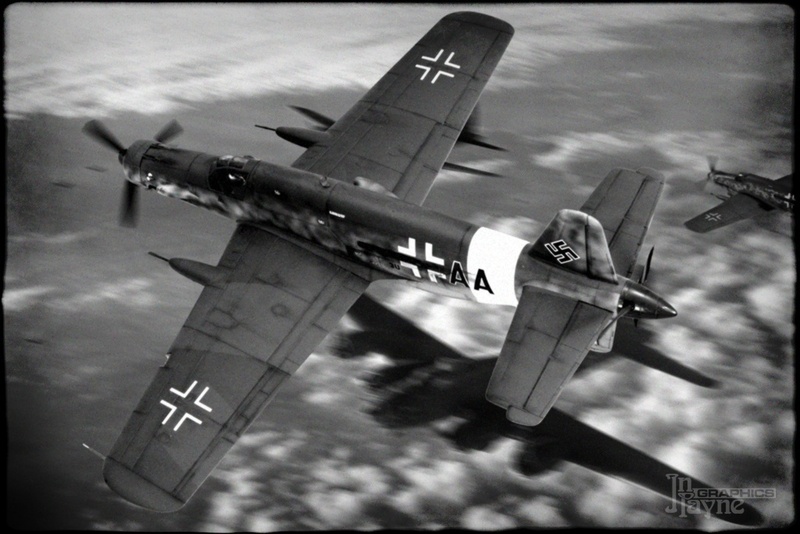 A Henschel Hs-132C of KG51's Icelandic Maritime Defense Squadron attacks North Atlantic convoy in 1946. 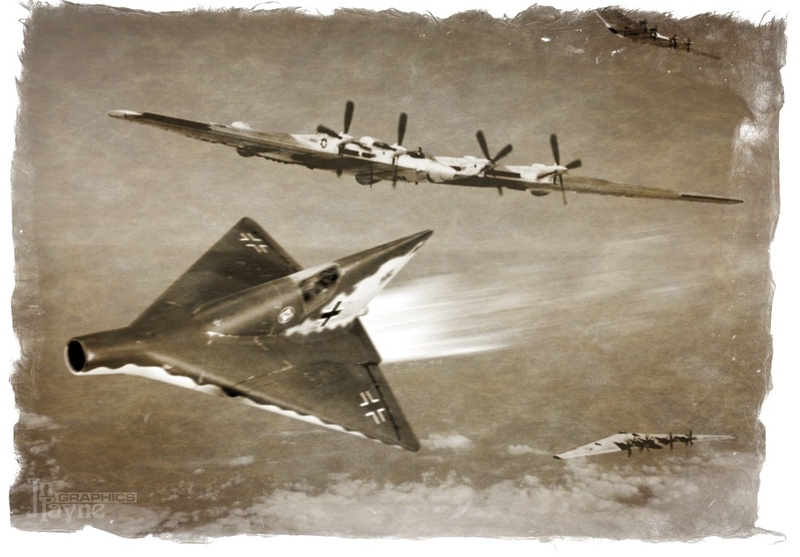 A pair of Horten X jet fighters tear through a formation of Consolidated B-32 Dominators over Eastern Europe. 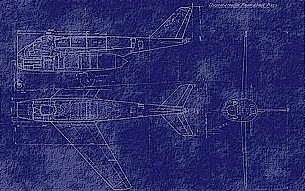 Sharkit's 1/72 resin kit, some actual B-32 photos, and a bland sky picture I took myself from an airliner. 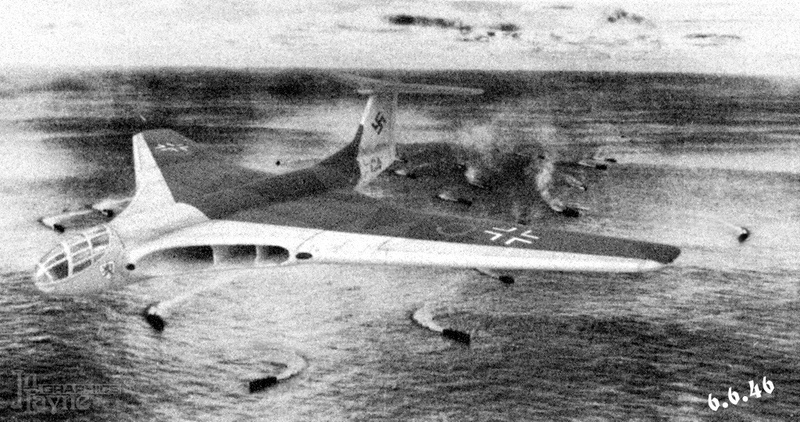 A Horten XVIII intercontinental bomber passes over the french coast on the way its target in America. Anagrand's 1/144 resin model over a stock photo. 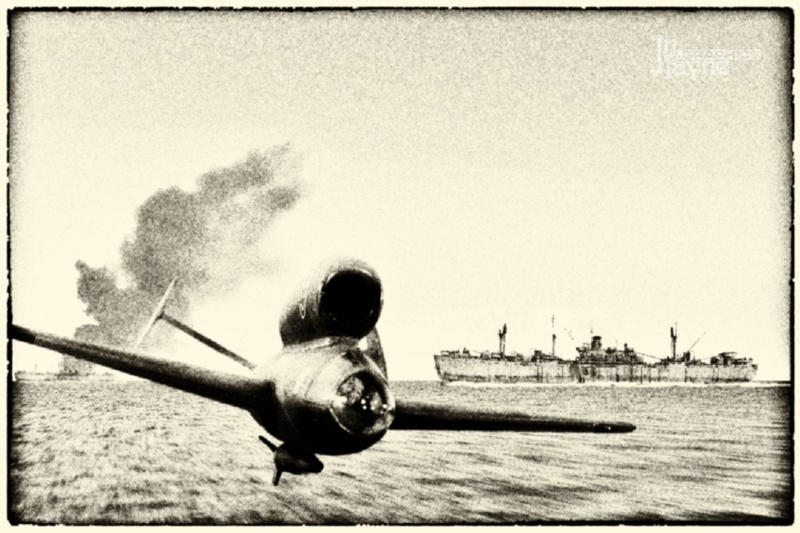 A Junkers EF.128 jet fighter, returning home on the deck from a mission, is jumped by a Supermarine Spiteful. 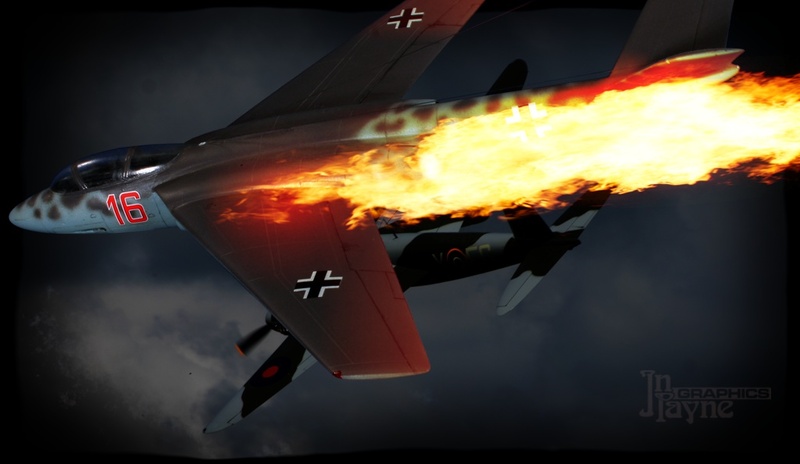 The British pilot has power-dived to gain speed to try to overtake the jet. 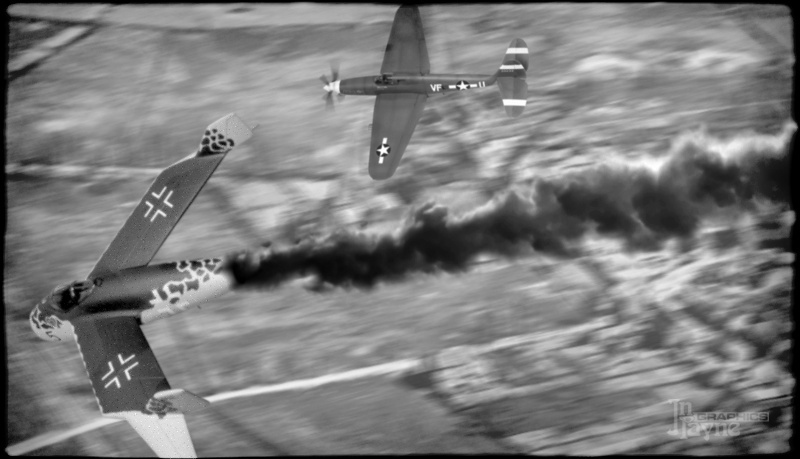 Huma's 1/72 Junkers being chased by Trumpteer's 1/48 Spiteful, over a stock photo of the German countryside. 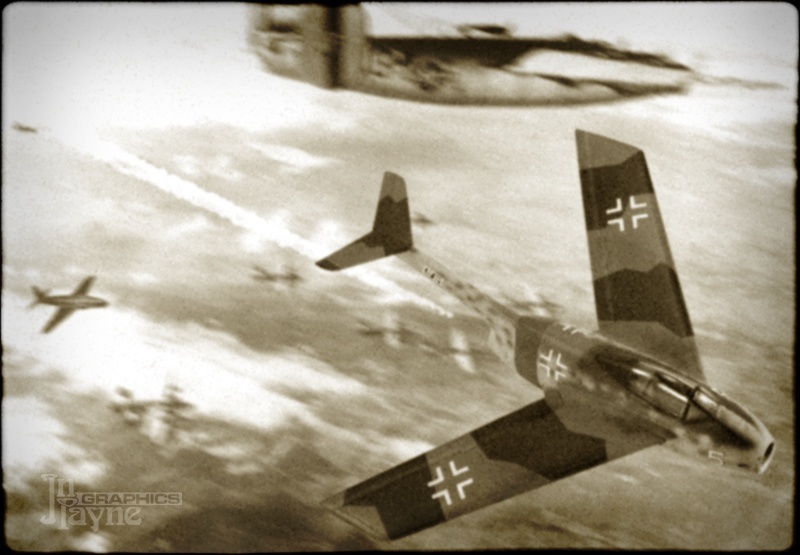 A Junkers EF.130 jet bomber strikes an enemy convoy in the desert. 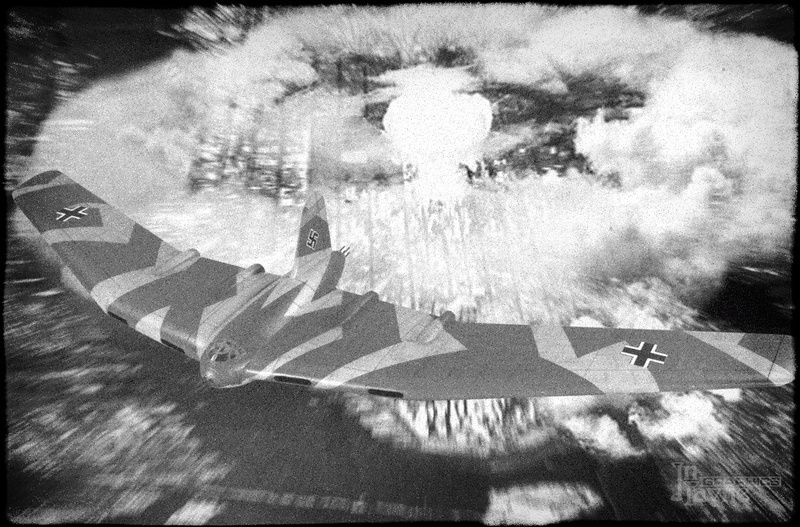 A Lippisch P.13a coal-powered ramjet fighter, being evaluated by JG1, tears through a formation of Northrop B-35s over Germany in 1946. 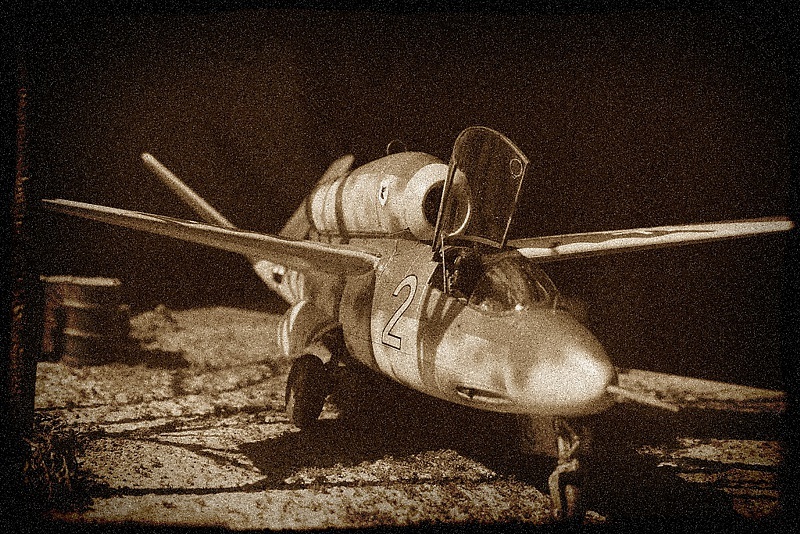 Mauve's 1/48 kit in a composite pohoto. 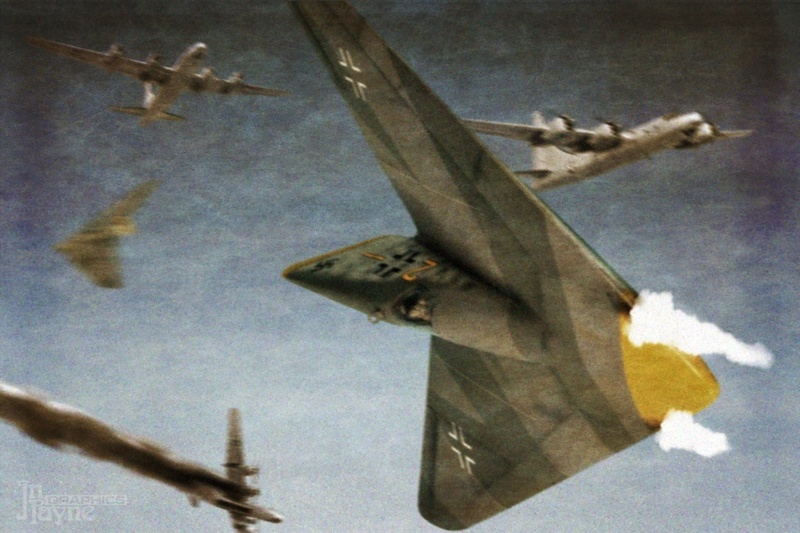 A Messerschmitt P.1111-1 jet fighter screams through a B-17 formation, leaving one Fort with a burning engine. 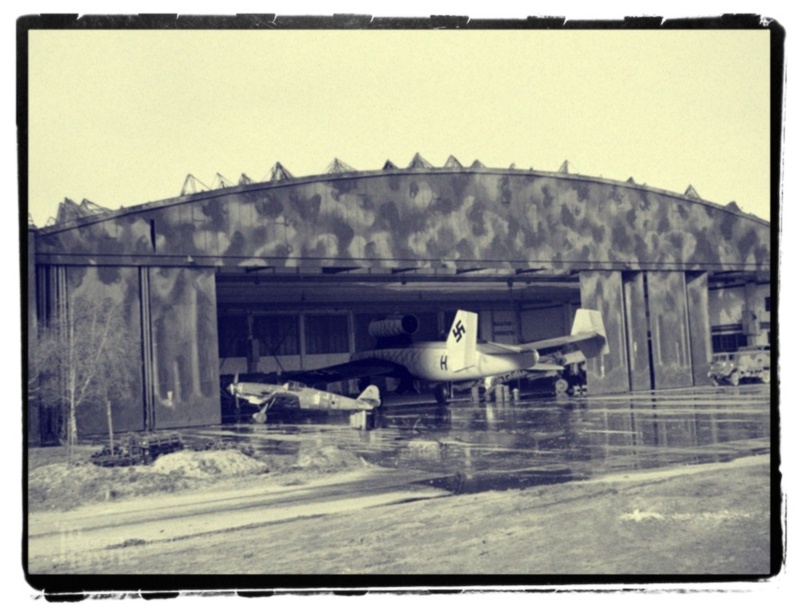 Planet Models' 1/72 kit on a real wartime photo. Anagrand's 1/144 resin model over a genuine 1930s photo of NYC, plus a few other elements.